Prime Minister, Dr. Edouard Ngirente, has said dealing with nutrition should begin with antenatal care with concerted efforts. He said it is necessary to design and implement programs to ensure food security, adequate access to clean water supply, sanitation and hygiene. 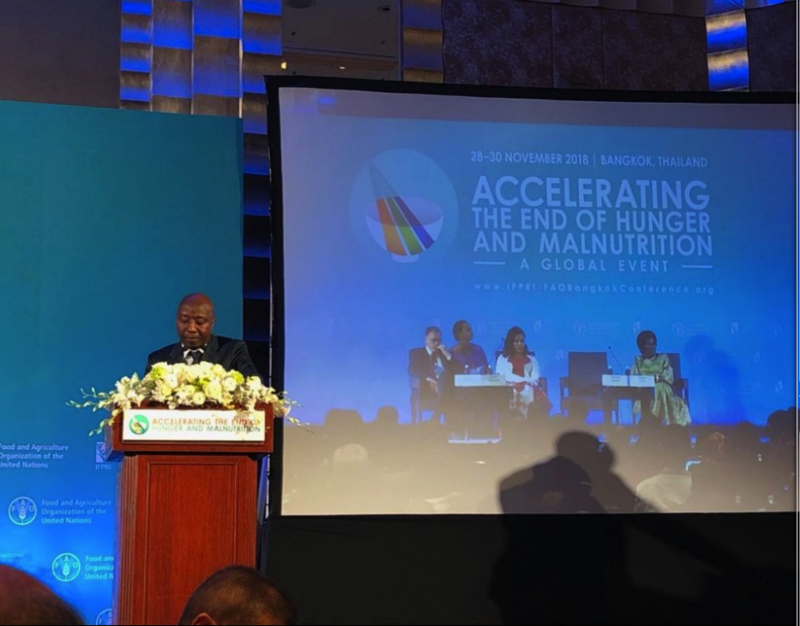 Dr. Ngirente made the remarks in his note address at the Global Event on “Accelerating the End of Hunger and Malnutrition at Bangkok, Thailand on 28th November this year. The three-day conference was organized by the International Food Policy Research Institute (IFPRI) in partnership with Food and Agriculture Organization of the United Nations (FAO). According to the 2018 report on the State of Food Security and Nutrition in the World, the number of hungry people in the world increased to 821 million in the year 2017. Currently, stunting and malnutrition rates at 35% among children as Dr. Ngirente highlighted. Dr. Ngirente shared some initiatives that Rwanda has put in place as he spoke of Rwanda’s experience in its commitment towards ending hunger and under-nutrition by 2025, and all forms of malnutrition by 2030. Among them, the Crop Intensification Program has helped Rwanda attain a growing trend in food crop production at 8% annual average in 2017, accounting for 20% share of total agriculture sector contribution to GDP. 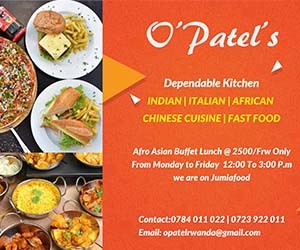 Strategies Rwanda has adopted to tackle malnutrition, as Prime Minister Ngirente said include a joint venture between the Government of Rwanda and Africa Improved Foods Ltd (AIF), in producing baby nutritional foods babies between six and 24 months as well as pregnant and lactating mothers from poor households. “These Fortified Blended Foods are currently supplied over 14,000 women and more than 100,000 children in vulnerable categories,” he said. Over 58,000 voluntary community health workers were deployed in all villages to closely follow-up malnutrition cases and conduct awareness campaigns on improved maternal, infant and young child feeding practices. Since 2006, Rwanda established and supported One Cow per Poor Family Program known as Gira Inka Munyarwanda which has seen more than 300,000 cows distributed to poor families with the target being to ensure every poor household owns a cow to produce milk for home consumption, generate family revenues for extra milk sold and produce manure that supports food production for the family. Besides, Rwanda’s Government introduced One Cup of Milk Program in which so far, over 70,000 school children in poor areas are enrolled. “Milk supply in school has not only improved the nutritional status but also increased school attendance,” Ngirente said. “To completely eliminate hunger and food insecurity, in Africa Agenda 2063, our continent committed to make nutrition a priority. This will be achieved by consolidating the modernization of our agriculture and agro-business through scaled-up value addition and productivity.” Prime Minister Ngirente said. Skin Bleaching: Can Rwanda Handle The Fight?